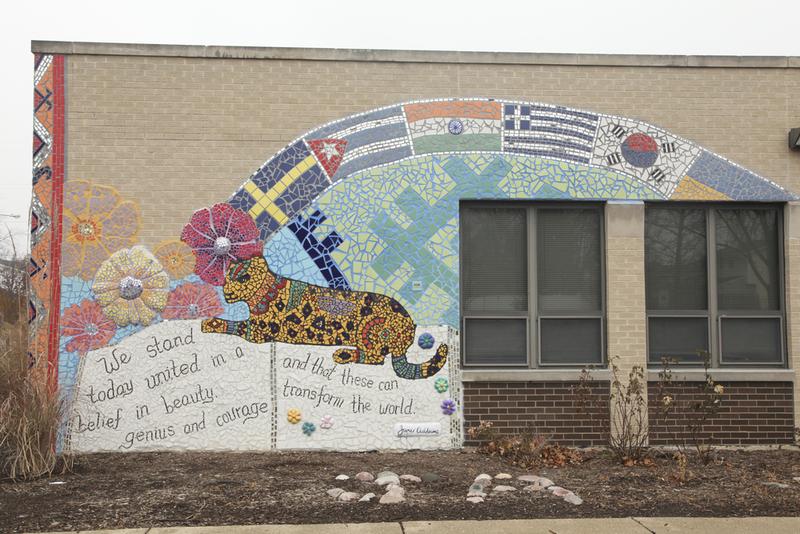 Description: In 2015, Green Star Movement (GSM) and 15 students completed a mural of a world map and flags representing the US, Chicago, and Sweden, the country of origin for many of the neighborhood's settlers, bring flair to the entrance of this school for international studies. 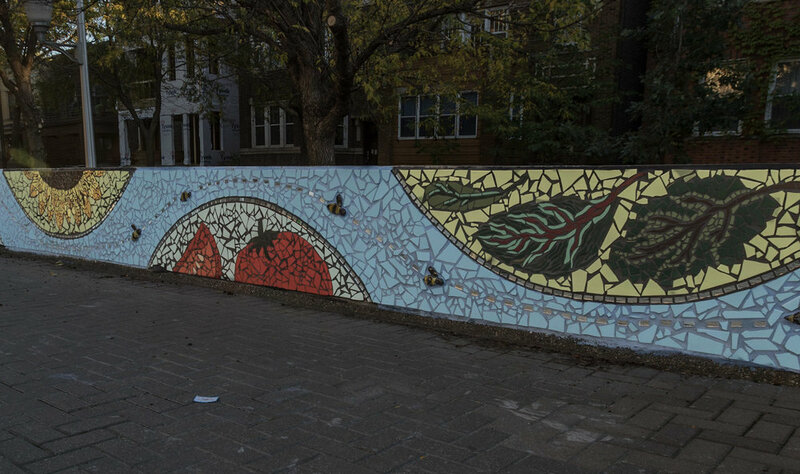 In 2017, with the help of 250 wonderful Helen C. Peirce students, our team completed two garden-themed murals for the entrance and side areas of the school. The bees featured in the entry area were hand-sculpted by the students! 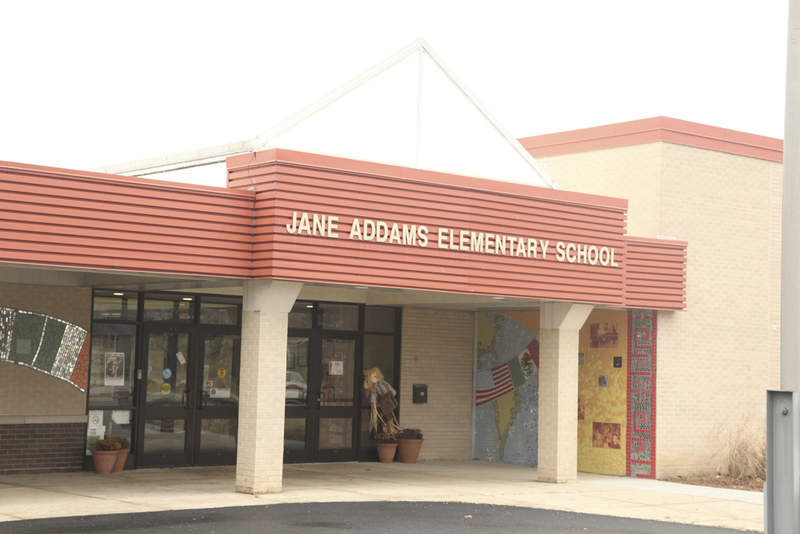 Description: Located on the front facade of the school, the mural incorporates mother nature, geometric designs, and international flags.